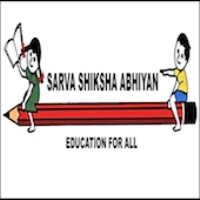 SSA Jobs Recruitment Notification 2018.Sarva Shiksha Abhiyan Balasore inviting applications for the positions of Part time Instructor jobs in Health & Physical Education/ Art Education (Visual Art) in Govt. Upper Primary Schools.Interested and Eligible candidates can apply for the positions. Total number of vacancies to be filled in District Project Office SSA, Balasore is 57 for Part time physical instructors. +2 with CPED degree or post graduation degree in professional education can apply for Part time instructor on physical education post. Degree/ post graduate degree holders in visual arts can apply for PTI in Visual art post. In between 18 to 35 year candidates can apply for Part time instructor post. Age relaxation for SC/ST is 05 years, OBC is 03 years. Working candidates as part time instructor will get Rs.231/- per one class and maximum there will be 24 classes per month. Candidates through their merit and through professional exam they will be hired. By 15th September 2018 candidates can apply for SSA Balasore recruitment. https://baleswar.nic.in is candidates can download application form and send to below given address. District Project Officer, Sarva Shiksha Abhiyan, Public High School Campus, Near ADM Square, AT/Po/Dist-Balasore-756001.